These pins never snag delicate silks. They are the sharpest, smoothest pins made. They bend, but don't break and fly into helpless eyes. 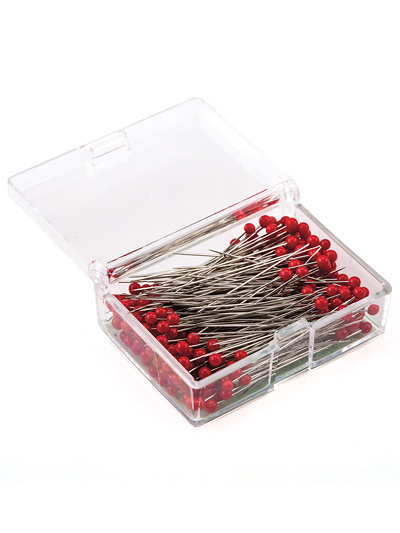 I've used them for over 30 years.These have thinnest shaft of any pin. Glass heads won't melt when ironed over. Red Heads are easier to see on white and light colored fabrics. 250 per box. 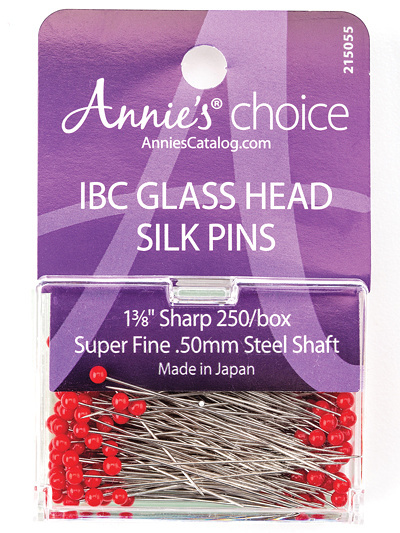 Carolyn Vagts, editor of Quilter's World magazine says, "These are the only straight pins I use. The glass heads won't melt, and you never have to worry about snagging your fabrics. They are sharp and thin. They are wonderful even when using batiks." I have used these pins for years. I won't buy or use other pins. I do a lot of sewing and they work beautifully for all work, except for real heavy material. They will work for heavy but carefuflly. I have been using these pins for at least 25 years. I originally purchased them when I visited Clotilde's booth at a sewing fair. Years later I ordered my next batch through a local quilt shop. I am not a quilter but a home sewist crafting everything from curtains to children's wear to purses. In 25 years or more I have never ever had a pin break. I do throw them away if I happen to sew over them and bend them or nick them but that is my fault not the fault of the pin. I have been so very pleased with these pins that these are the only kind I will ever buy with the exception of some longer sturdier pins for when I am sewing on denim.